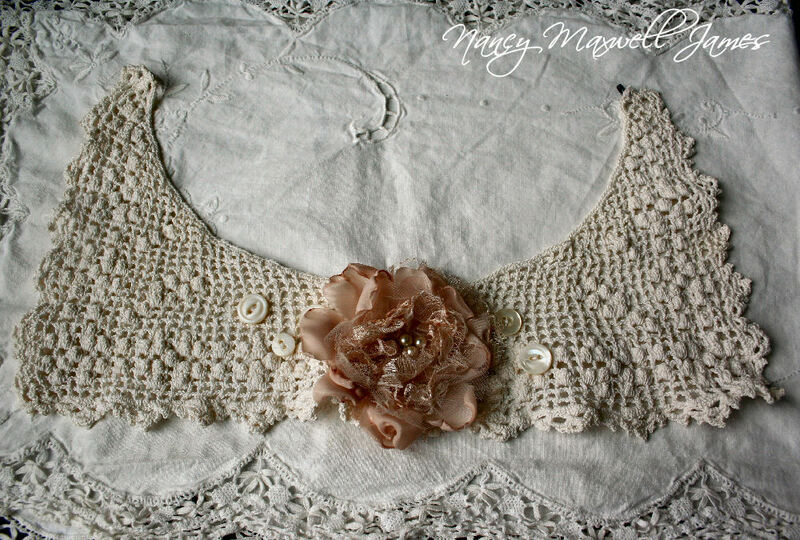 You may remember some of the antique cabinet cards I was given a few months ago that came from my daughter’s beau Sam that I posted about here: Melting My Heart…well I made a little simple altered collage with one of them over the weekend and also finished up a lace collar that I altered as well. 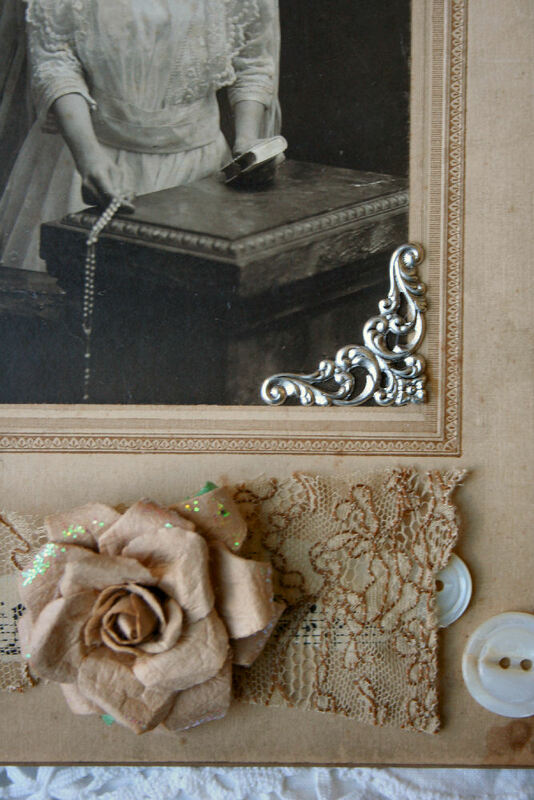 What a sweet cabinet card..and the flower you made for the lace collar is beautiful. 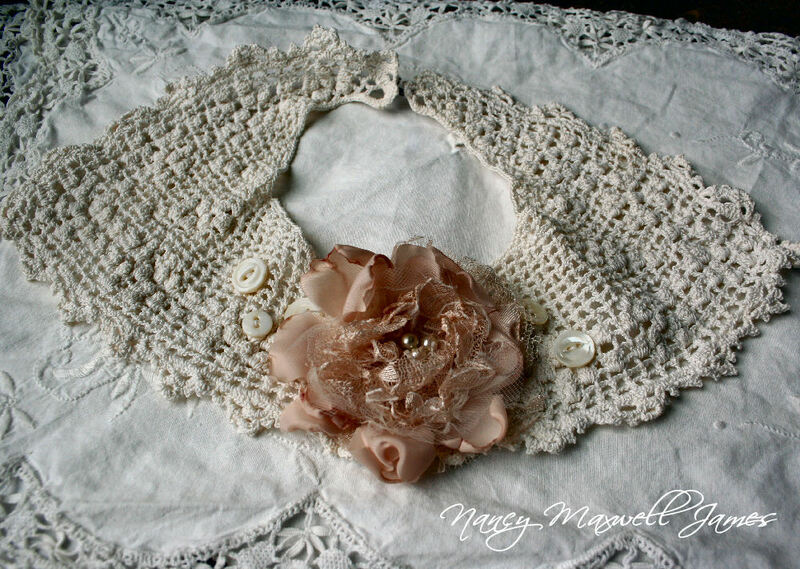 I did consider (for about a minute) creating a lace collar or something to wear while watching Downton Abbey!! Ha. Such a lovely creation with this cabinet card you were gifted. The Bride looks so so young! They are beautiful, in all their simplicity ,dear Nancy. 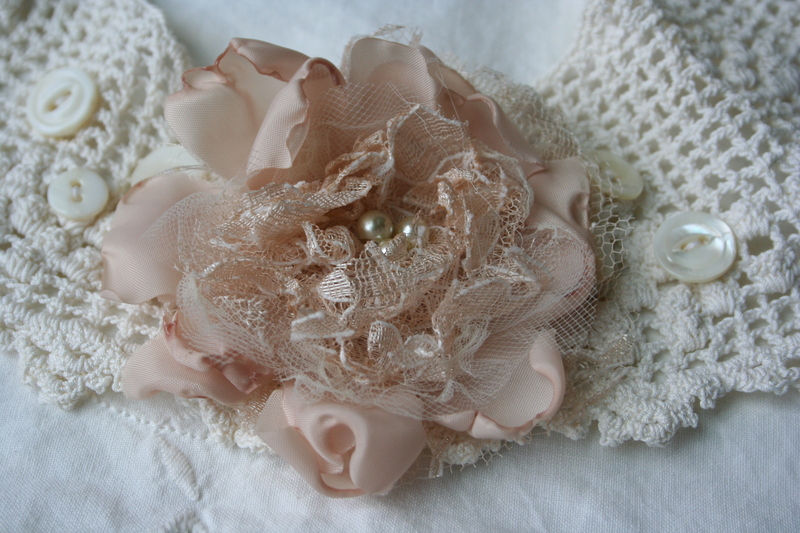 Love what you did with the cabinet card – and the collar is the most pretti piece and oh your flower so gorgeous. Wonderful cabinet card, luv how you complimented it. Brings back memories of Catholic childhood. Hope it is warming up in your neck of the woods, it’s supposed to be in the high 50’s tomorrow here — happy dance time!! LOL !! I knew you’d be creating beautiful things with those cab cards you received! 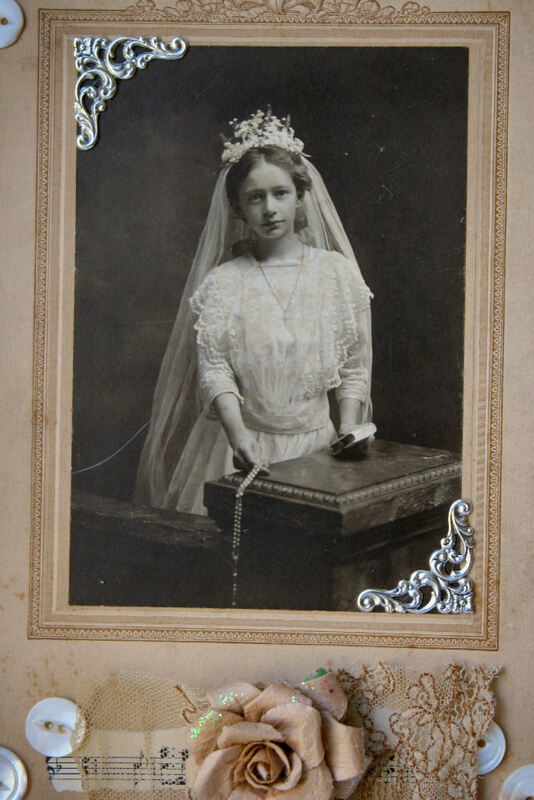 Oh that is one splendid cabinet card…you altered it beautifully dear Nancy! I must salute you for using the original too…oftentimes I set out to do that and then can’t quite use the original…that said you have proven just how lovely it can be going that route. 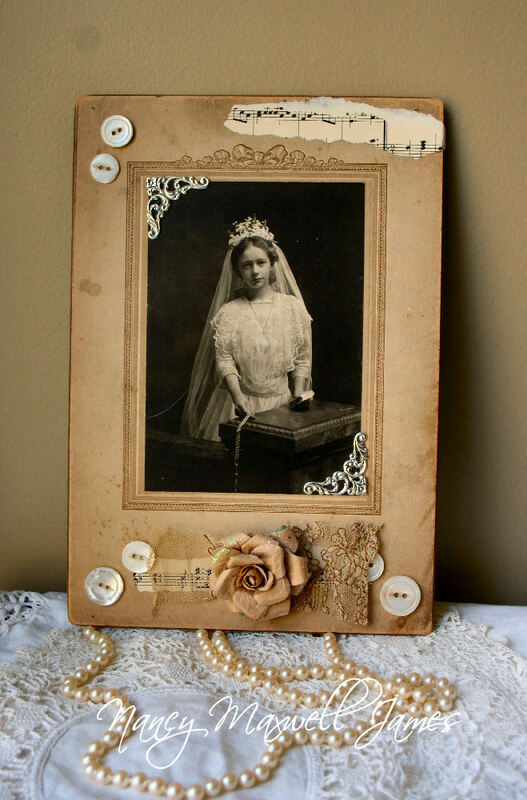 Love how you embellished the cabinet cards, and the collar is just gorgeous!